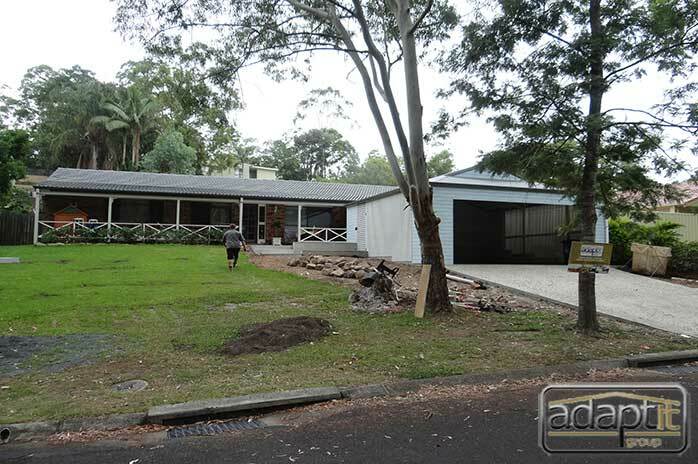 Check out this home in Kenmore that needs a few patios added on. They called Adaptit and Stolly came to the rescue, 3-d style. 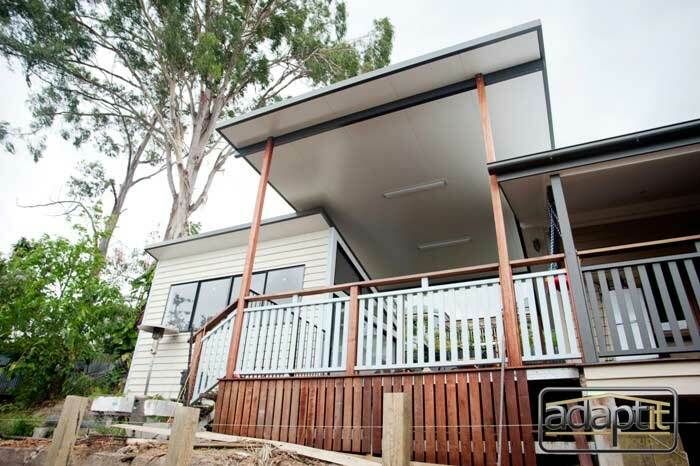 He designed three areas for them in 3-d that showed them the possibilities for their property long-term. 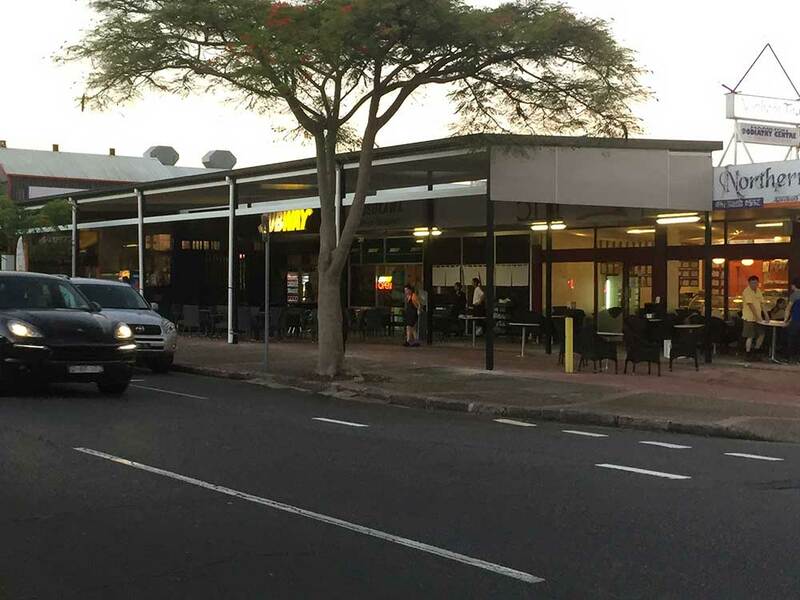 We can't wait to get this project underway. Stay tuned for the final results. Adaptit's resident 3-d design expert has been hard at it!! 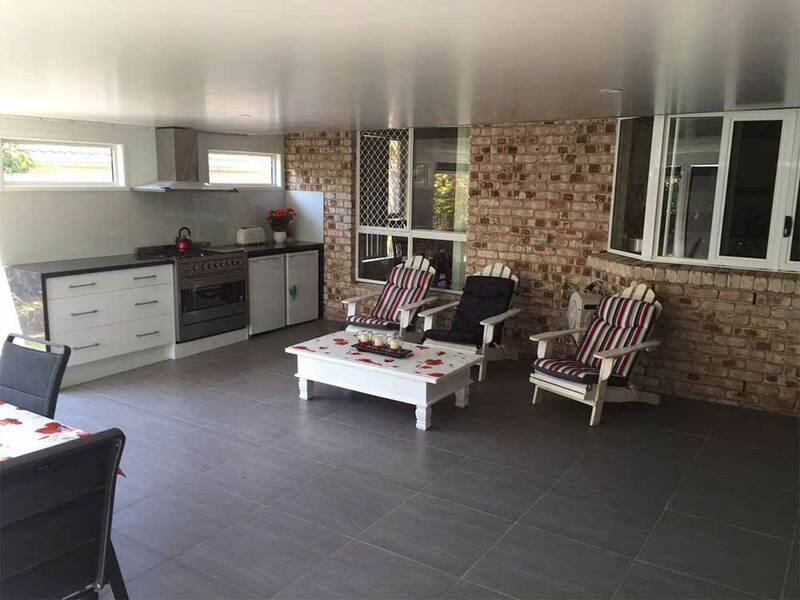 Check out his latest designs created for our clients homes over the last 30 days. Keep watching this site as these projects come to 'Real Life' over the next few months. Awesome work Chris!! 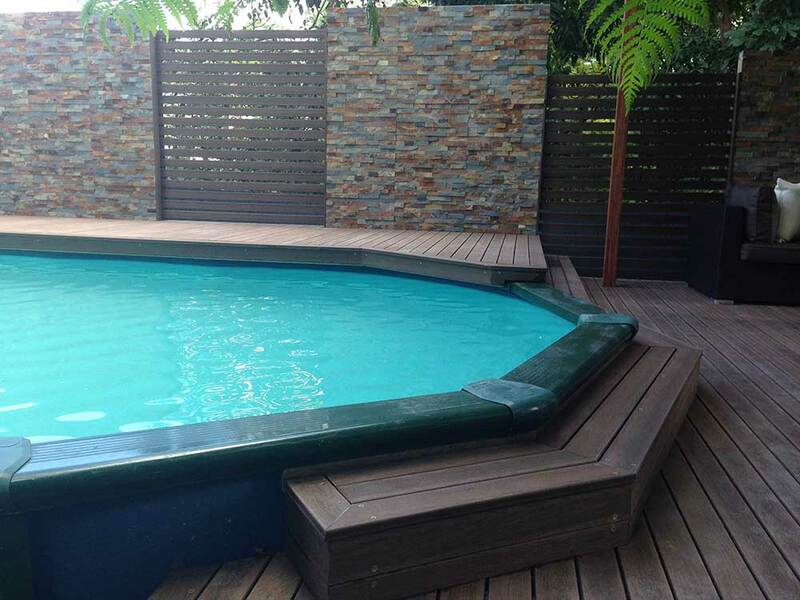 Above Ground Pool gets a Facelift. 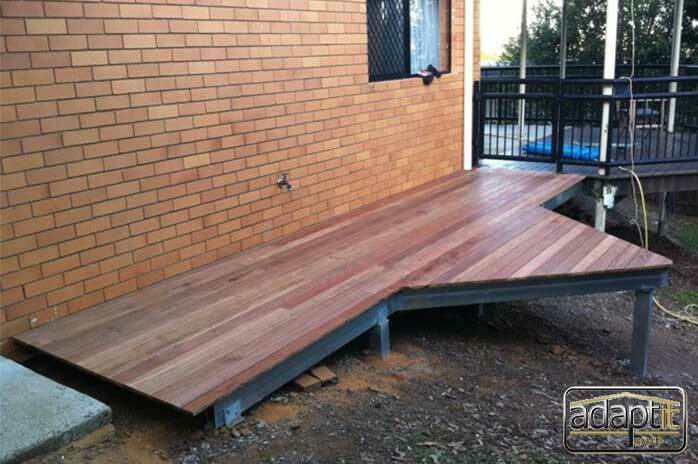 Amazing Modwood Deck by Adaptit! 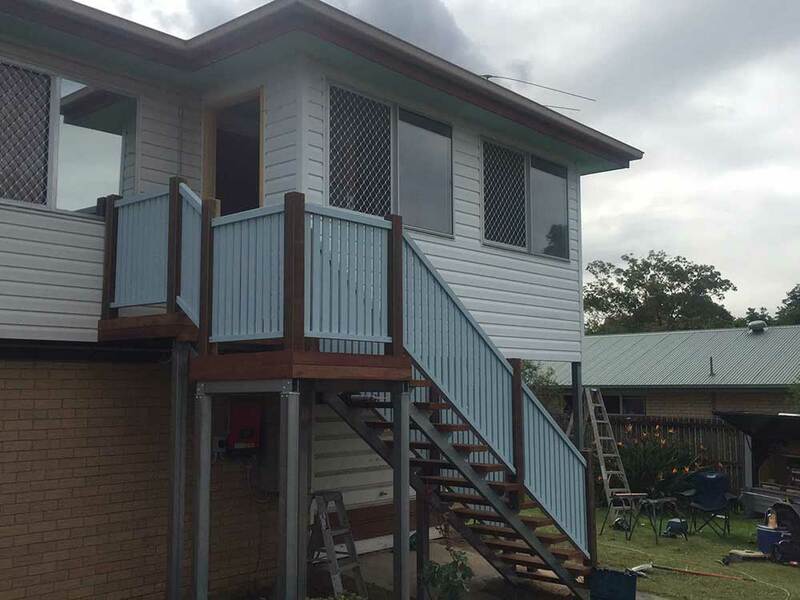 Front Verandah gets a ‘much needed’ change. Thanks Adaptit! 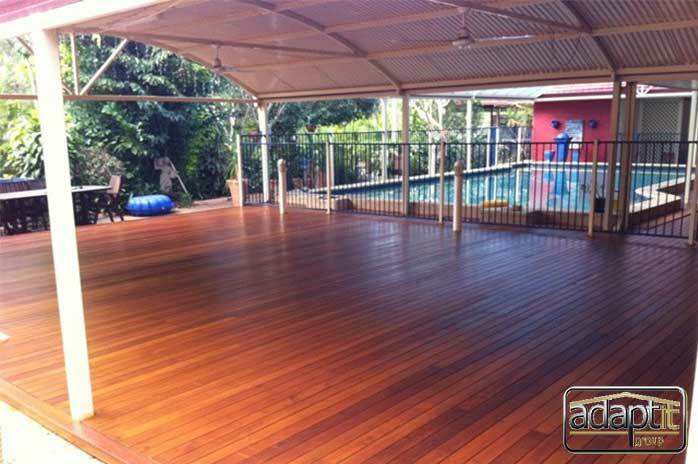 This small deck in Tarragindi was constructed to link an existing deck with a new fully landscaped backyard. 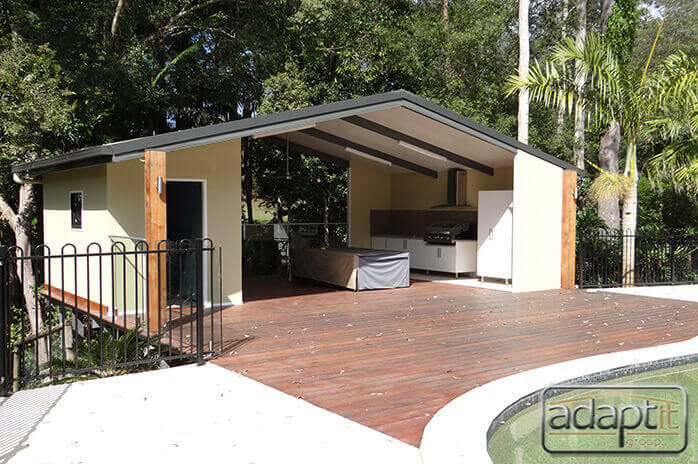 The owners of the property did a full backyard makeover and Adaptit was proud to supply the small deck to link the House with the new property feature. 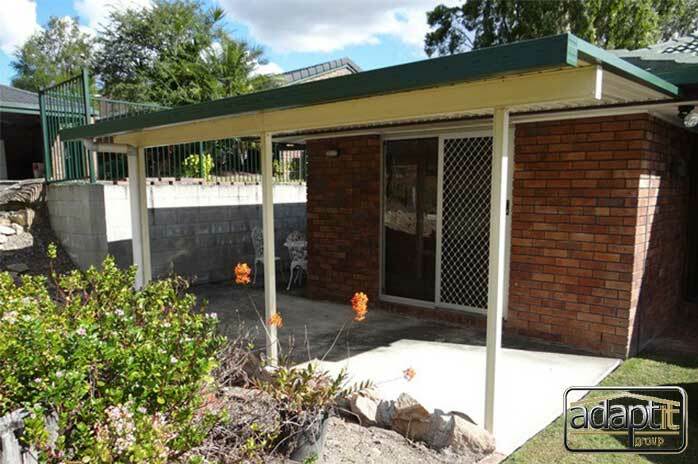 This Ground level Deck is in North Ipswich. 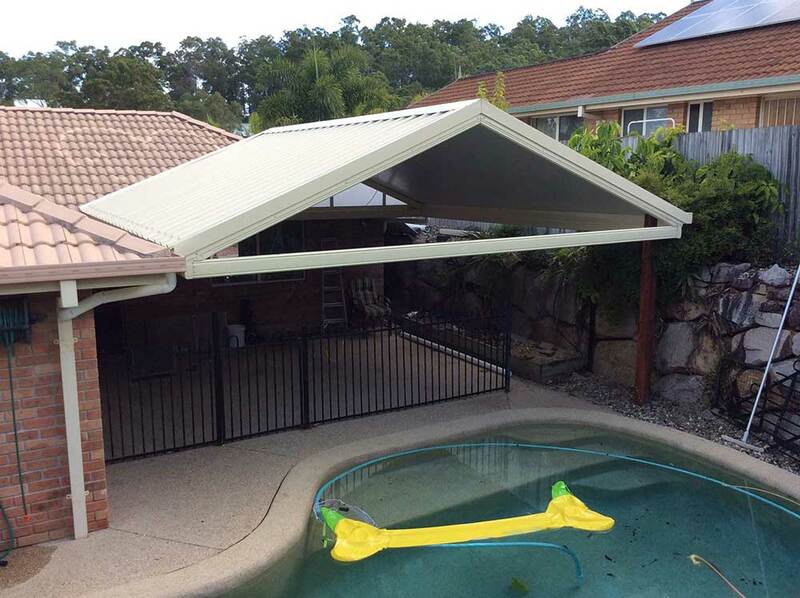 The home owner, Shirley, had to solve a problem with an old concrete slab around their pool. 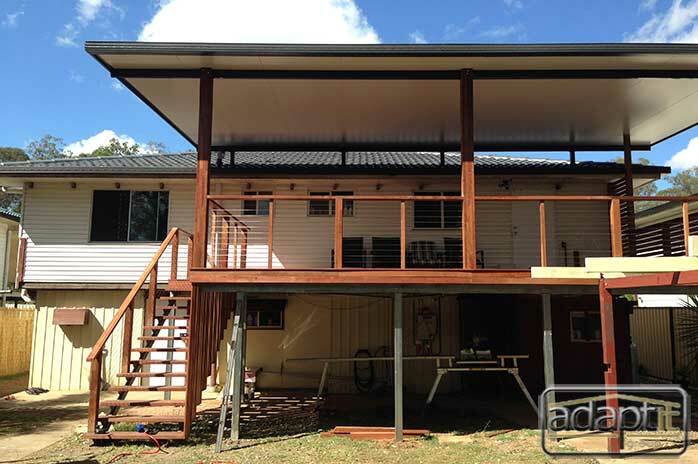 This ground level deck was done in Kwila decking and treated Hardwood for the framing. 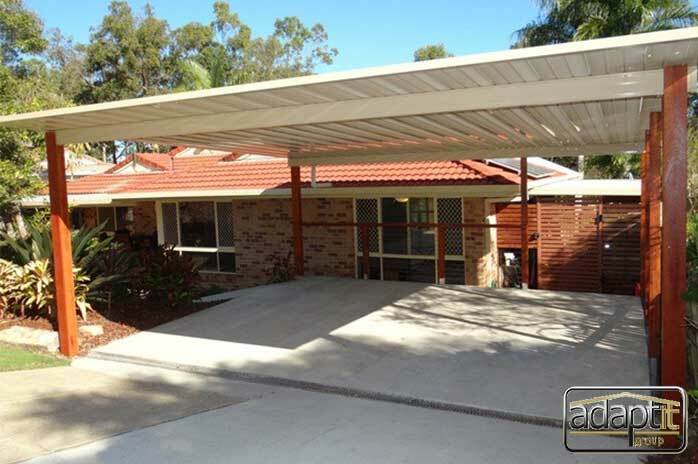 Mount Ommaney Carport changes this house forever!! 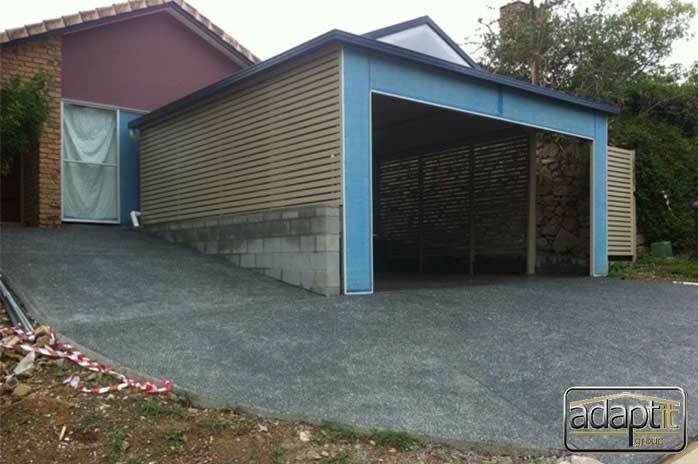 We also provide a wide range of covercrete and concrete solutions. 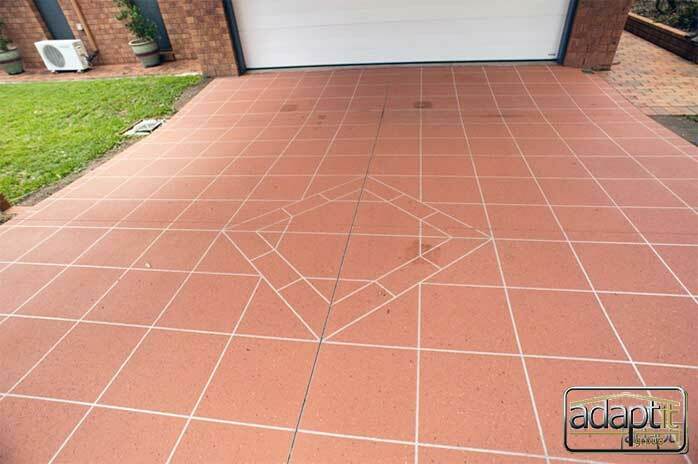 Ask one of our awesome staff to help you organise your next concreting project. 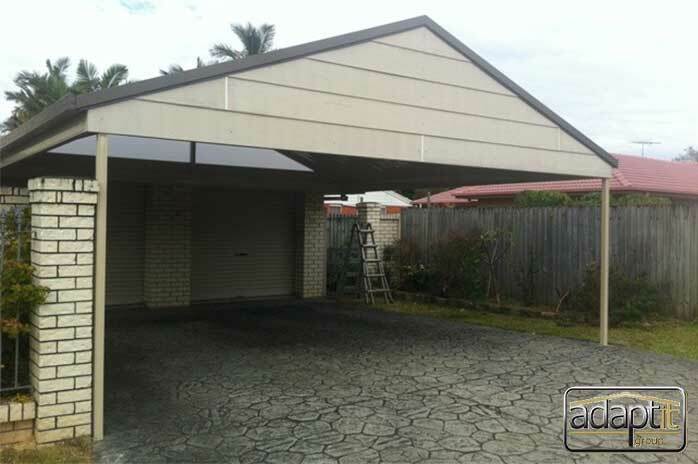 This Carport is in Sinnamon Park, Brisbane. 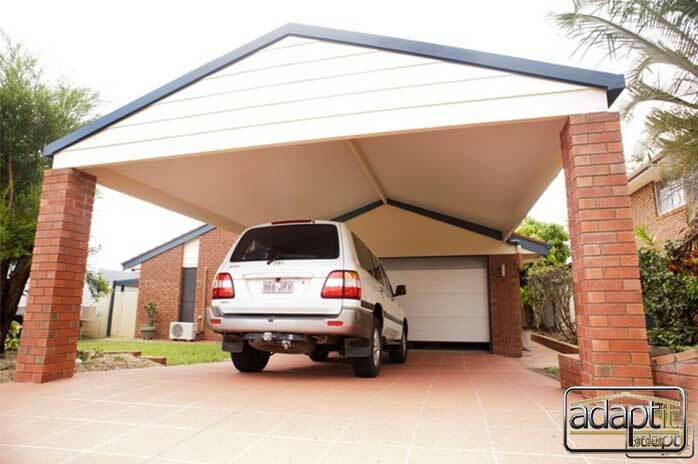 Being only 6m x 3m, this would only be suitable for one car. Kathy, the home owner, used to have to park in the sun and every summer things were hotter. Not any more!! Thanks Adaptit. 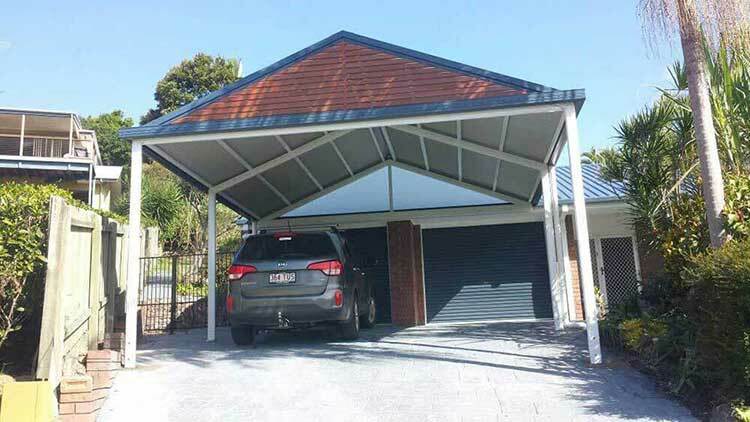 This new Carport is in Runcorn. 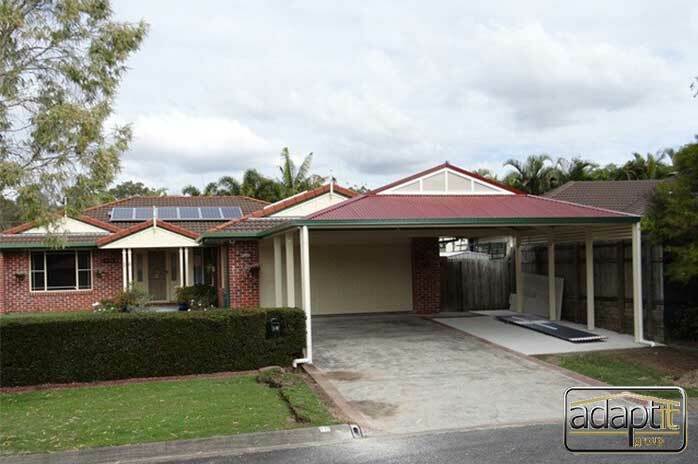 The Home Owner, Geoff, helped us design this Gable Roof & new driveway at the front of the House. 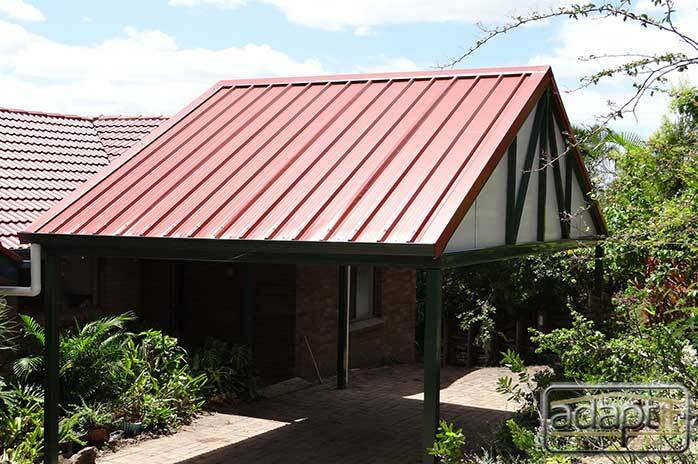 The Roofing utilised is the Trimdeck Insulated Panel. 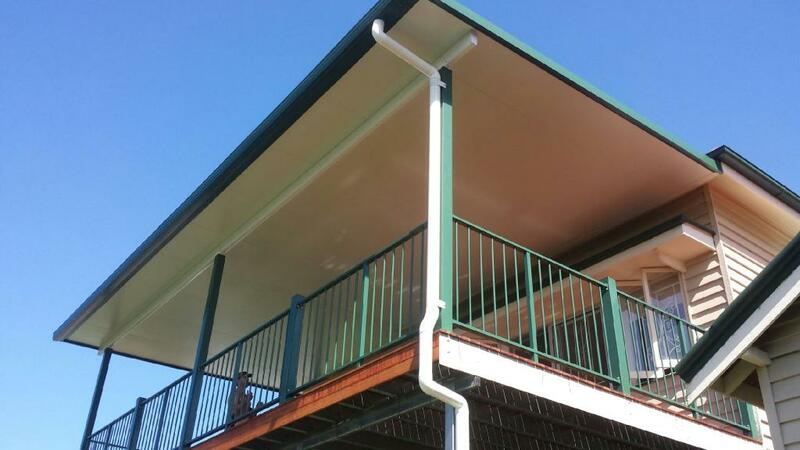 Our Frame System is Slimline Engineering. Build Time - 8 days. 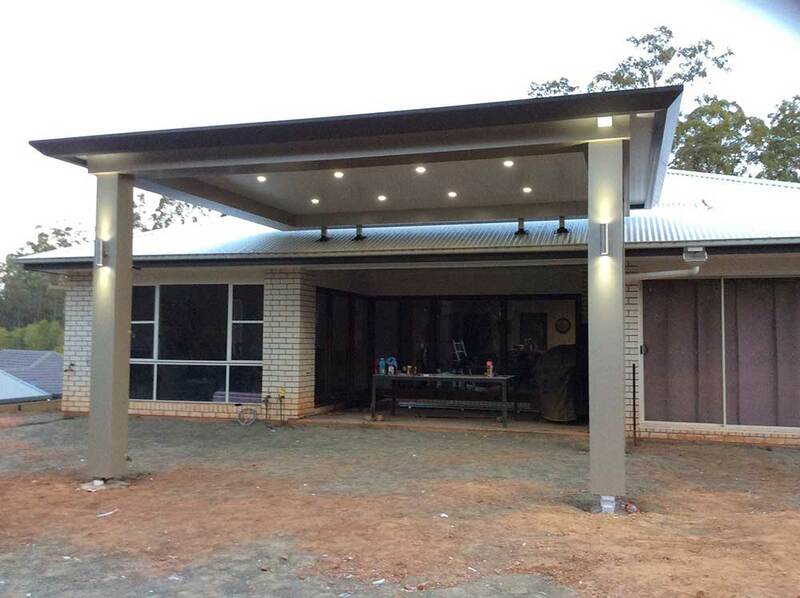 Products supplied - Carport, Weatherboard Infill, Brick Pillars, Concrete Slab, Covercrete coating. 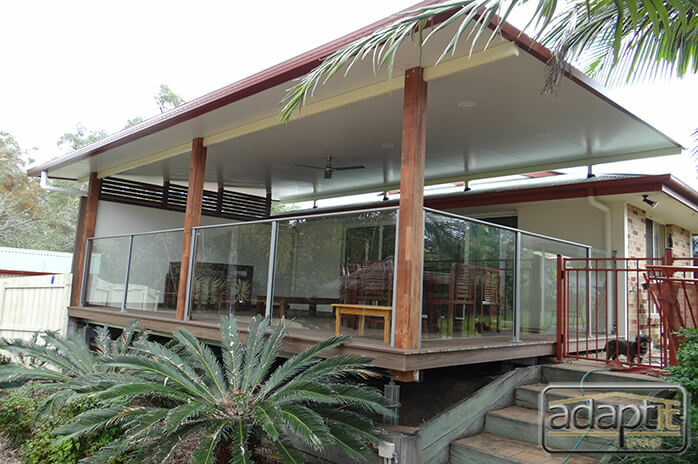 Have a look at this amazing job in Jindalee we have just completed. 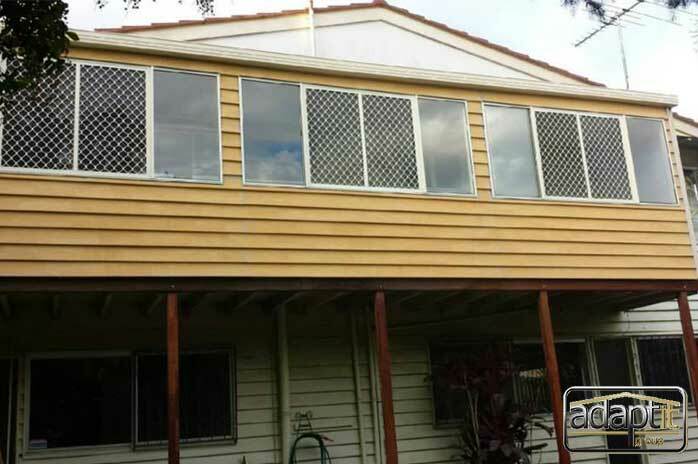 The owner began with a verandah that they never really used to it's full potential. They decided to ask us to enclose it and make it an extra room of the house. This way it can be used for many purposes. 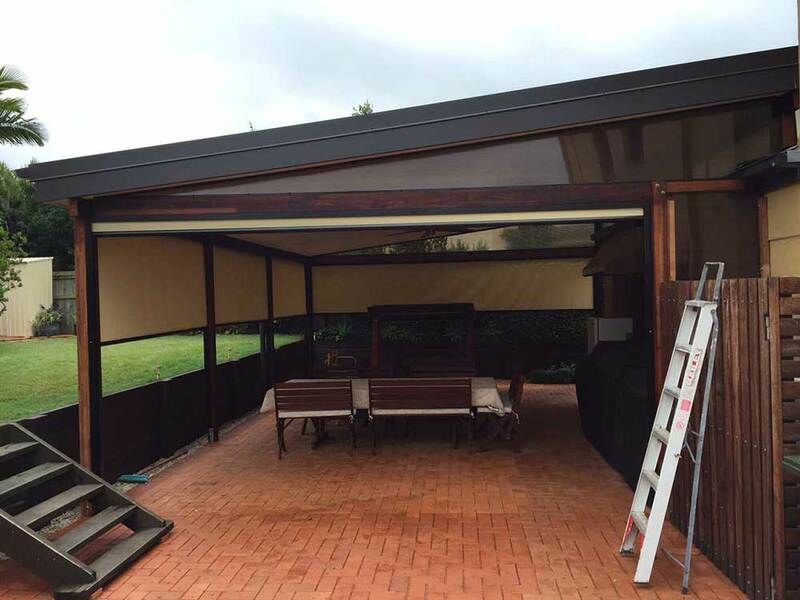 This amazing insulated patio enclosure has been built from Start to Finish by Adaptit. 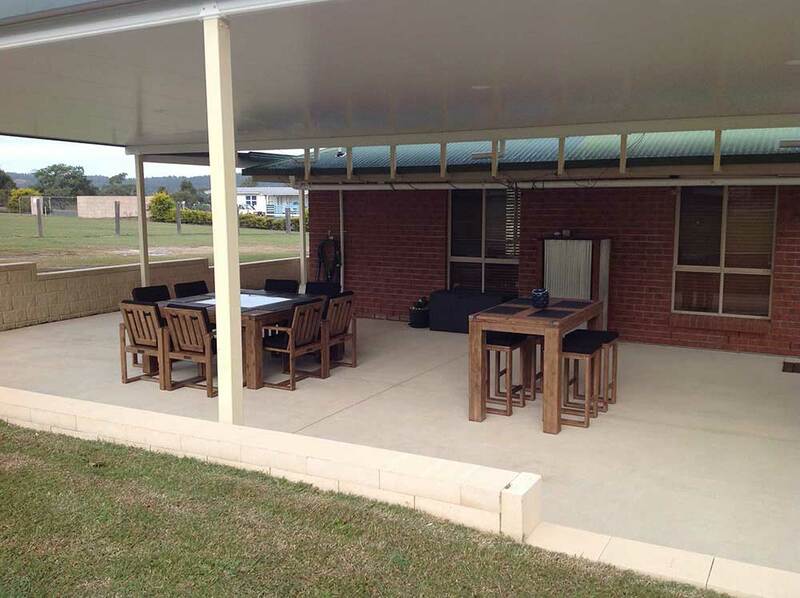 We began over a year ago with the Patio, then just this week we installed Stage 2. 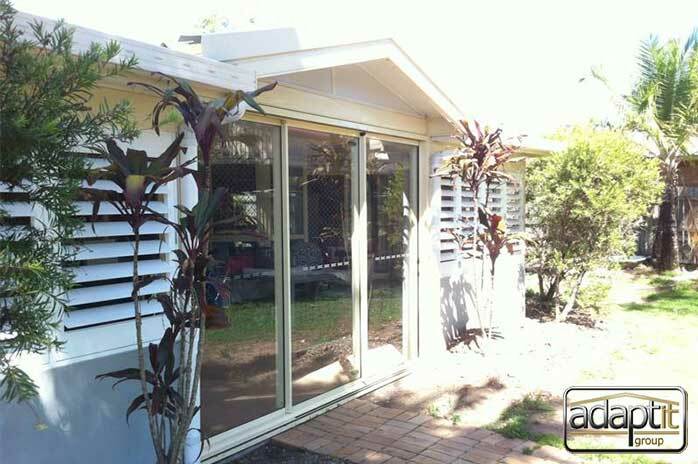 Stage 2 consists of External Shutters and 3 sliding glass doors. 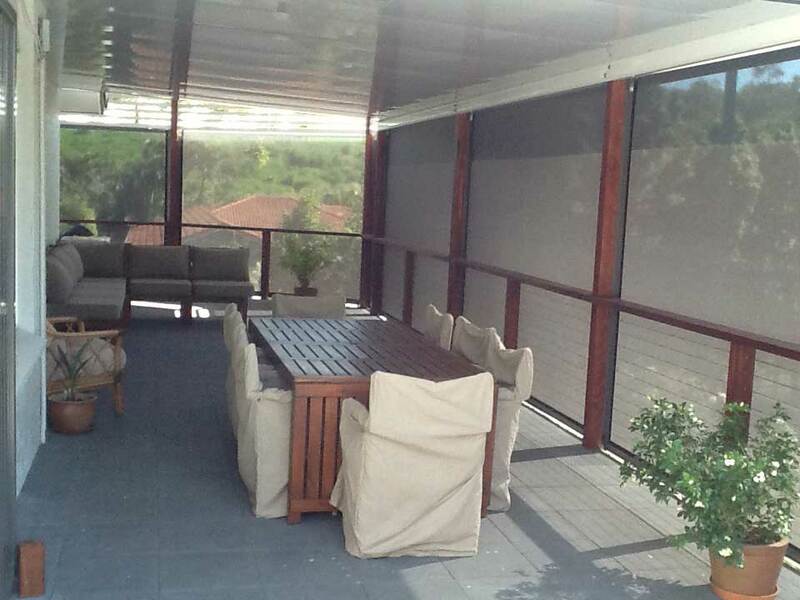 Great Installation by the Adaptit Crew inc Damo & Benny. Great design work by the Owners and Ryan.